Languages: English, Spanish, Italian, Mexican, German, Russian, Turkish, French, Swedish etc. Original spare parts catalog Bosch ESItronic represents the extensive catalogue of all production of firm Robert Bosch GmbH. The spare parts catalog and repair manuals Bosch ESI tronic supports all languages including Russian, has the good interface, allows to search under number of detail Bosch or any other manufacturer, gives out the information on application concrete spare parts on marks and models. 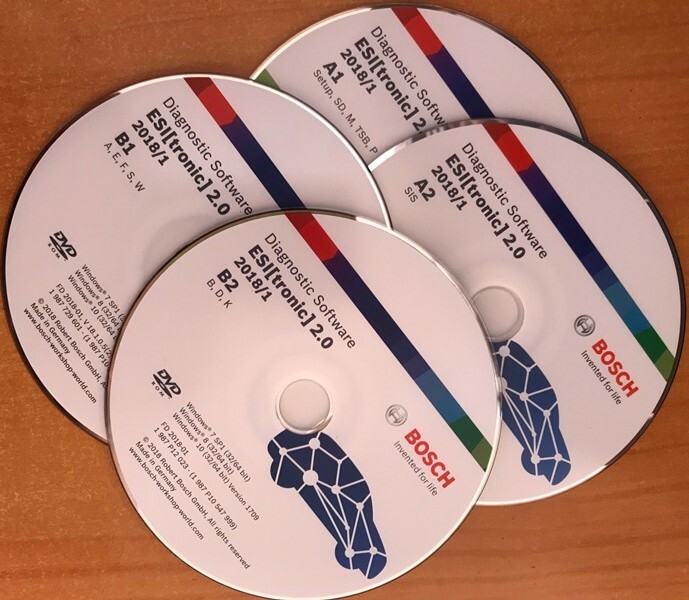 The Program BOSCH Esi tronic supports all languages including Russian, has the good interface, allows to search under number of detail Bosch or any other manufacturer, gives out the information on application concrete spare parts on marks and models. The great bulk of the information is submitted on machines since 1971, but something is and on earlier samples. The program BOSCH Esi tronic is the valuable manual for those who is engaged in repair and delivery of spare parts for lorries, contains the full information on pneumatic, electronic and to fuel systems European, and also in part the American and Japanese lorries. Installation of the program is simple and does not cause questions. Work directly from CD or installation of disks on the winchester is possible. Hello, I dowloaded 97% file and the link stopped. Could You fix this? Problem was my computer. I was fix him. the 2018 version can not be cracked yet?